Chocolate buttons in a 3" x 9 1/2" bag with a bow, 7 1/4 oz. Put more into your next mug promotion with Mug Drops. 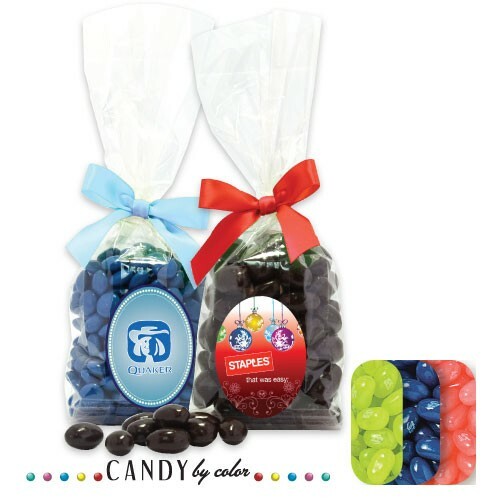 Filled with a variety of snacks and sweets, our Mug Drops are a colorful addition to any promotion. Imprint the label with your logo and your choice of bow color. (Coffee mug not included). Bags are sealed at both ends to ensure product freshness. Dimensions: 3" x 9 1/2". Label Dimension: 2" round.